It's Christmas time! But Santa's gifts have been captured by evil snowmen and robots. 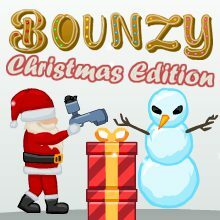 Help him to shoot 'em all and get the gifts back!